As you might know by now, some of our favorite vehicles to look at in these spotlights are 2018 models. Even though they may technically be pre-owned models, they were barely used because the 2018 model year is just barely transitioning into the 2019 model year now. That means they’re almost as good as new, made evident by the fact that the vehicle we’re looking at today – a beautiful 2018 Maserati Levante – has only just over 3,000 miles on the odometer. Unlike many of the vehicles we look at in these little spotlights, the Levante wasn’t built to hit the track and run laps around slower vehicles. Even still, its 3.0L twin-turbo V6 engine makes it capable of accomplishing quite a lot, including generating 345 horsepower and hitting 60 miles per hour in less than 6 seconds – which is quite fast for a crossover, premium or not. 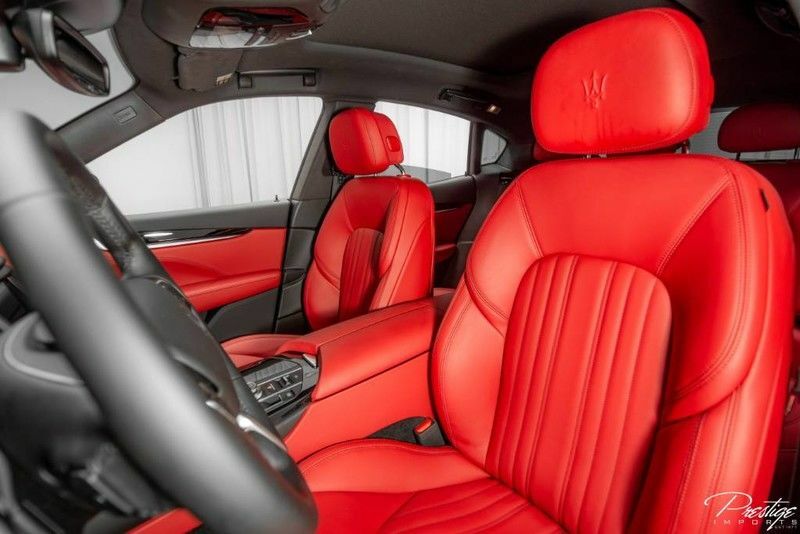 Speaking of premium, however, the Levante is of course packed with luxurious features and content in addition to its impressive utility vehicle powertrain. 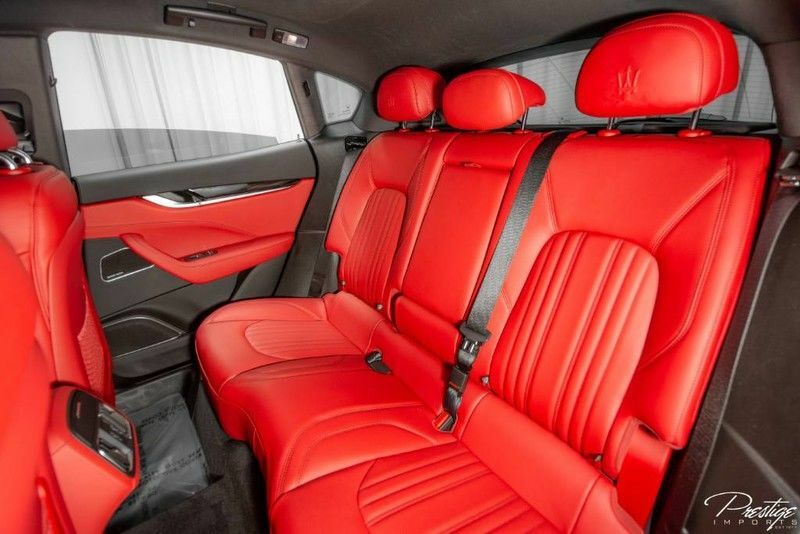 Its design is flawless, with a Bianco exterior paint and a red interior featuring black stitching. With chrome accents and other great design cues, it will show you have impeccable taste. But in addition to design, it has plenty of great features. From the premium display audio system to the fully-automatic projector beam headlights to the four 12V DC power outlets and everything between all of them. 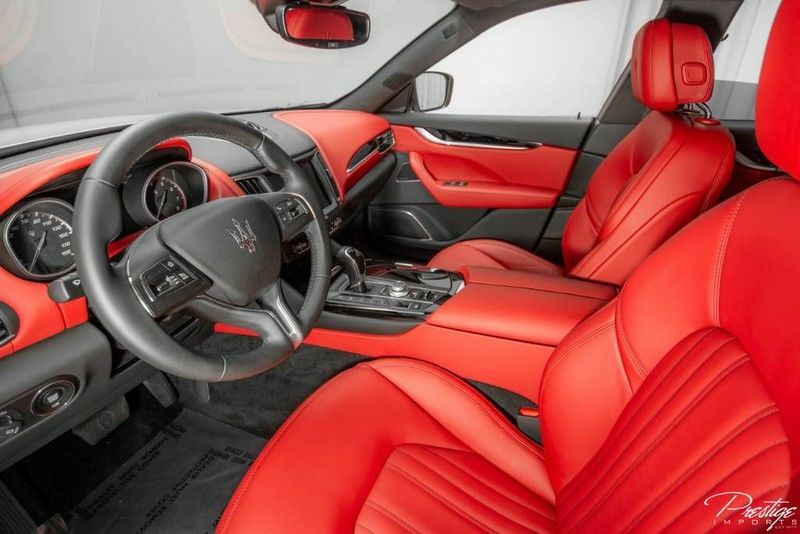 We’ve only scratched the surface of everything that this 2018 Maserati Levante has to offer, so if you’d like to discover more for yourself be sure to schedule a test drive right here on our website or by giving us a call at the sales desk. We look forward to seeing you in the driver’s seat! This entry was posted on Wednesday, August 22nd, 2018 at 4:11 pm	and is filed under Maserati. You can follow any responses to this entry through the RSS 2.0 feed. You can skip to the end and leave a response. Pinging is currently not allowed.